The Boys in the Steam Room displayed little enthusiasm when I told them they ought to go without underwear this Friday to mark “Let It Hang” Day, an event being held in support of the millions of piglets that are apparently needlessly castrated every year. The event is being organised by a Belgian animal rights group, Gaia, which says vaccination could replace castration as a more humane way of preventing “boar taint”, an odour released when sexually mature pigs are cooked. Gaia wants men to go commando for the day in solidarity with the piglets, to persuade supermarkets not to sell pork made from castrated pigs. It is targeting men because they are best placed to imagine the pain of castration, especially if they have ever received an unexpected football or stiletto heel in the crotch. “Be careful before you sit down,” the group thoughtfully warned participants. The group says women can help too by hiding their men’s pants on Friday morning so they are forced to go to work with it all hanging free. Or, as the Google translation from the Belgian charmingly put it, “[women] can help by their husband’s underwear to hide”. None of the Boys seemed keen to join up. Tim avoided the issue by arguing that the phrase “Let It Hang” sounded all wrong – wouldn’t “Flop It Out” be better? Nick said anyway the organisers probably meant trousers, not underwear, as they were probably using “pants” in the American sense. Rory crossed his legs and begged me to stop saying “castration”. He added that he had no intention of not wearing his undies on Friday because “if I said I wouldn’t, you’d put it in that diary of yours”. 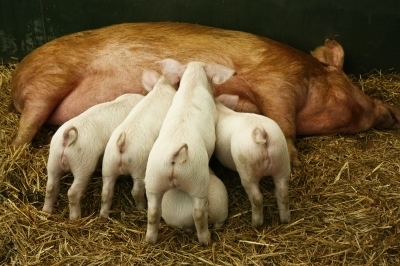 Meanwhile, here in England, in another piglet-related incident, Surrey Police announced today that it had released from bail four people previously suspected of having pinched micro-piglets from an address in Capel in March. Four micro-piglets have been reunited with their rightful owner, but police continue to appeal for information regarding the whereabouts of the remaining animals, named Squiggle, Dotty and Spotty. This tickled me; obviously it’s not funny when loved pets are stolen, but I found it quite charming that the police, who events of recent years have led us to believe are primarily concerned with protecting the interests of government and big business, rather than those of the community, are willing to spend time on tracking down a householder’s piglets. Sweet. It’s not what you say, it’s who you are: my MP never tweets yet has 6x as many followers as me!